Perennials are excellent garden plants that last from one year to the next. This is because, unlike summer bedding plants, they are generally unaffected by cold winter weather. 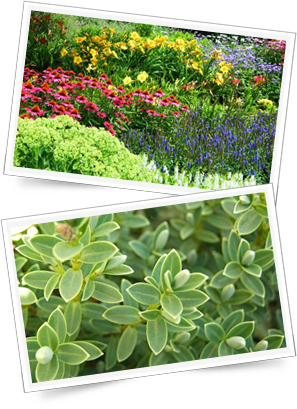 With perennials, you plant your garden flowers once, and enjoy many years of colourful garden flower beds. Perennial plants come in many textures, leaf shapes and colours, adding great interest to your garden. Hardy fuchsias are a popular choice of perennial garden flower. Our nursery has plenty of others to choose from to mix and match colours and textures in your garden. Visit our garden centre to see what perennials are currently available and ask for advice tailored for your individual garden. Our garden centre stocks a nice range of shrubs to mix among your perennial garden flowers at very competitive prices compared to the larger garden centres.